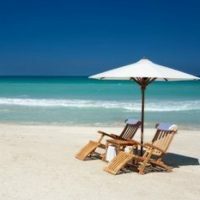 Here on the Destin Florida Real Estate page are the current homes and real estate for sale in the Destin area. If you would like to search other areas please search our local MLS. Also if you would like to view any properties or have question please call 850-499-0778. AMAZING OPPORTUNITY to own at a fantastic well-maintained waterfront complex!! This completely remodeled unit features new flooring throughout. Gourmet kitchen with granite countertops, custom tile backsplash, and large farm sink with chef's spring-spout faucet. Ground floor unit is easy to access, and gorgeous remodeled master bathroom has walk-in shower. Here is your chance to own an amazing home in Destiny East, one of the most sought after gated communities near Destin's beautiful beaches. All on one level, this home has many amenities including two living areas, an office, dining room, bunk room, high ceilings, crown molding, a screened porch & an outdoor hot tub. Beautiful landscaping offers back yard privacy. Fantastic Harbor Views! An opportunity to purchase 2 one bedroom, one bath units with adjoining balconies. Sandpiper Cove is a medium density gated 43 Acre resort in the heart of Destin. Unit 2019 and 2020 can be purchased together. 2020 is a center unit with Fabulous Views Down the Destin Harbor. Peaceful view of the Lake. 2 bedroom, 2 Bath Condo. Many updates. a must see. Located in the Heart of Destin. Washer/Dryer hook up. Great rental unit, vacation or long term. Centrally located. Close to the Beach, Restaurants, Shopping & Entertainment. Amenities include: 3 pools, tennis, outdoor grills, community room. Buyer to verify all dimensions. This waterfront property is in an amazing neighborhood of Destin with spectacular bay views in the back where only the dolphins, the red fish and the blue crabs are your neighbors. Situated on highest elevation (flood zone X) and on an over size lot of .78 acres, this property will give its new owner space and privacy. Construction will be done in June, bring your buyers! This brand new custom built home contains approximately 2,399+-SF featuring 4 bedrooms, 3 baths, a formal dining room and a formal study with a 2 car garage and covered lanai. This home features custom finishes, moldings, and fixtures throughout. Finally! An affordable water front home with no HOA restrictions in the heart of Destin. Come see this extremely well built all brick home developed by Ray Hall. Located on the southern end of the canal in Joe's Bayou with immediate Bay access across from the ''Destin Duck Pond''. Lot access from Kelly St. with plenty of room to build a garage or park multiple vehicles or trailers. Fabulous Harbor Views! Welcome to Sandpiper Cove, a medium density gated 43 Acre resort in the heart of Destin. Unit 2019 is an end unit with Fabulous Views Down the Destin Harbor. Enjoy morning coffee, beautiful sunsets, fireworks(seasonal) and views of the Destin Harbor from your expanded covered balcony. The balcony has been extended out 8 feet and covered with a canvas awning. This beautiful condo has views from all directions and the coastline views are spectacular! It is a corner unit so light floods the living room, dining room and kitchen. The master bedroom has a wall of windows and breath taking views of the gulf of Mexico and our beautiful white sand. You may also access the balcony from this bedroom. Find Destin Florida real estate and Destin homes for sale. Search Destin real estate including houses, homes, condos, town homes by price and location. Our MLS search pulls live data from the Emerald Coast MLS and provides the most comprehensive and up to date property details like Destin home prices, features and all the facts you need upfront. Want a closer look at what other Destin properties are available? Also search our listings for Destin Open Houses, Destin New Listings and Destin Homes with Price Reductions now.